Planning your trip to Porto, Portugal and looking for things to do in the city? Here’s our list of top 10+ things we have done during our two days’ trip to this wonderful city. We hope that you’ll find something to add to your own itinerary here too! Paris, Barcelona, step out of the way – here comes Porto, a real gem of a city that can easily be the most beautiful city in Europe. And while you can argue with that, there’s no arguing its natural beauty and charm. Having just been to Lisbon, Porto is our favorite place in Portugal. We did our best to capture what Porto has to offer to a tourist and we invite you to relive our journey. Get ready to get dizzy looking down from the magnificent Dom Luis I Bridge and be charmed by the colors of the city. The Dom Luis I Bridge is a real spectacle so no wonder most of the postcards from Porto include it. The riverbank by the bridge on both sides of Douro is the place to be – there you can enjoy a nice Portuguese meal while enjoying the views and a glass of fine port wine. Boat trips are big part of Porto’s attractions so it’s one of the must-do’s while visiting the city. You can spend an hour enjoying the beautiful shoreline of the town and take some of the best pictures while there. The architecture in Porto is most notable for its old colorful residential buildings stacked by the river. The steep rocky river shore allows a unique opportunity to build the town up vertically and Porto has made the most of it since its inception. 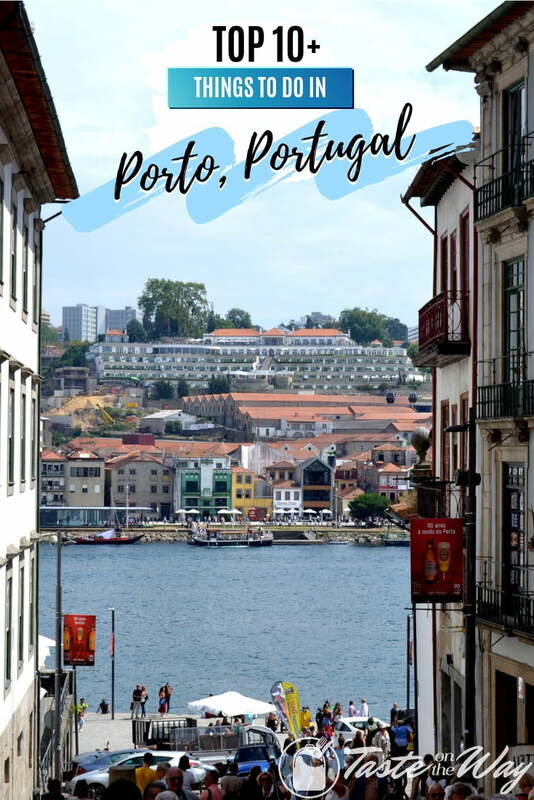 While talking about Porto we cannot not mention Vila de Nova Gaia which technically is a separate city, where you get to by crossing the bridge. In the wine cellars of Vila de Nova Gaia port wine is born and you can take a tour through these cellars on a wine tasting journey. Vila de Nova Gaia is also where the best pictures of Porto can be taken as you can see its entire riverbank and the magnificent historical town in all its beauty. Use the opportunity to walk across the bridge and have lunch or a drink on the river bank while enjoying the best views of Porto. Or walk up the riverbank for historical pathways and more views of Douro. This way you can get to see the really authentic face of the town. Food in Porto is typical to Portuguese cuisine with lots of cod fish and sardines. And of course, lots of port wine which you can taste on almost any corner of the town. As any old city in Europe, Porto is also full of magnificent fountains and monuments that make great pictures and tell a story of a great past. Such as the Lion’s fountain by the Carmo’s church or the impressive monuments of King Perdo IV in Praça da Liberdade and the statue of Prince Henry the Navigator in Praça Infante Dom Henrique. If you like panoramic vistas from high above, you have to get the Clerigos Tower where you can climb up to its terrace to see Porto from above. If you’ve been to Lisbon, you won’t see anything special but you do get to enjoy the lovely orange rooftops yet again. But you can also yet again climb up the Dom Luis I Bridge to get those same panoramic views for free. We’ll leave it for you to decide which are better – the views from the tower (above) or the views from the bridge (below). We have to talk a little bit more about the architecture of Porto even if just to mention the extraordinary rail station of Sao Bento (pictured below). With it’s Azulejo panels, both in the exterior as well as the interior of the building – it’s one of the iconic places in the city and a real spectacle to see. So even if you’re not traveling to or from this station, you have to get there even if just to take a picture or two. 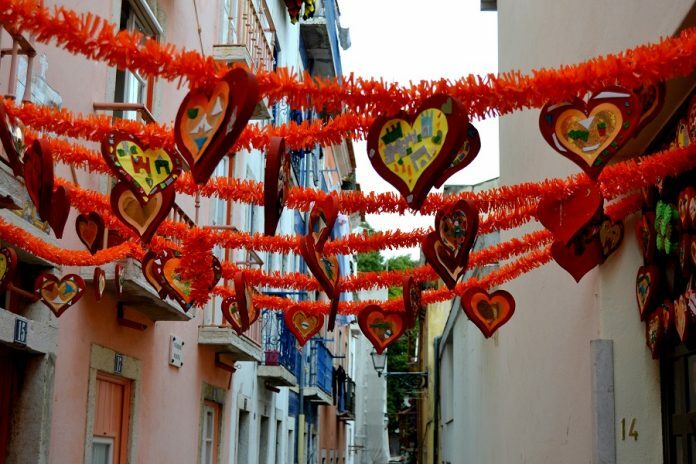 If you’re lucky, you’ll find Porto adorned for a festival as it was in our case just after the Sao Joao festivities. The already colorful town is adorned in even more color making it even prettier and a real dream to a photographer. Finally, we cannot finish off the story about Porto without mentioning the iconic electric trams. Just like in Lisbon, you’ll find the historic trams here too, which make a great tourist attraction while being useful means to get around the city as well. Riding one of these authentic cabs is a fun experience even when they get a little cramped with tourists. So that’s Porto – a lovely, colorful and charming city. We definitely haven’t revealed its full glory in this short story, that’s something you’ll have to experience yourself when you get there! One thing’s for sure – you won’t regret it!